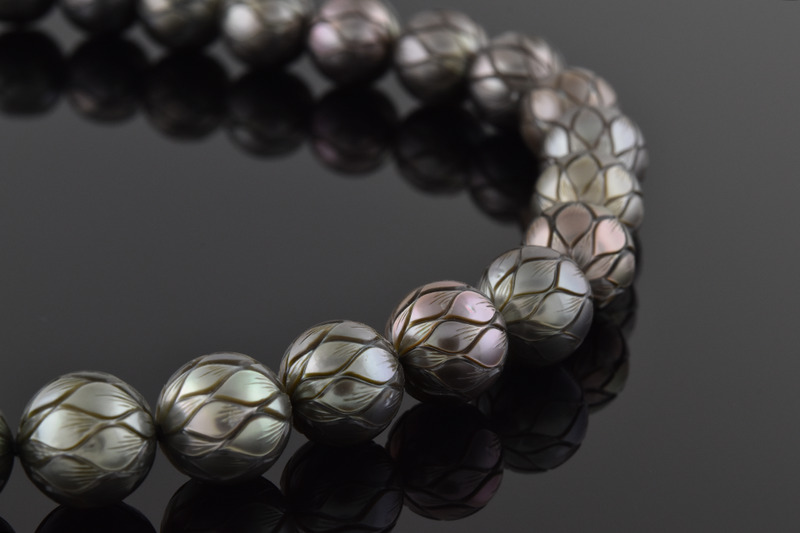 Galatea revolutionized the way the world views pearls. 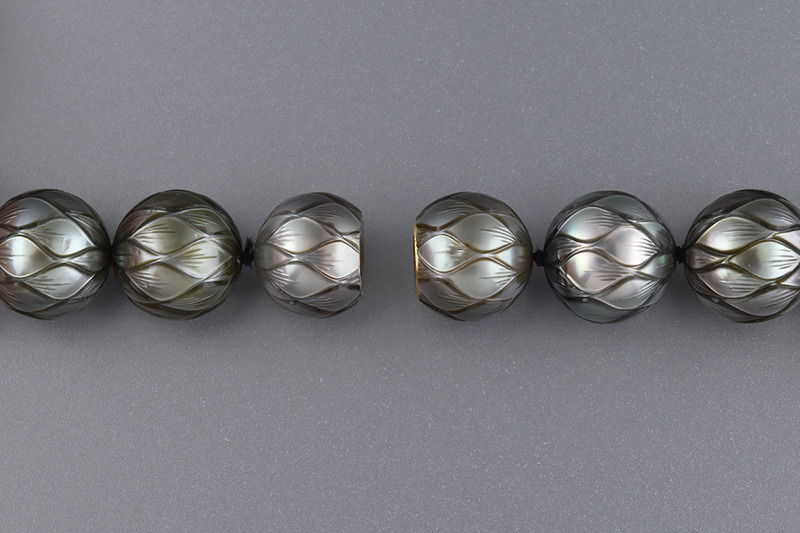 Galatea was the first to carve a pearl to revel the beautiful depth of the nacre. 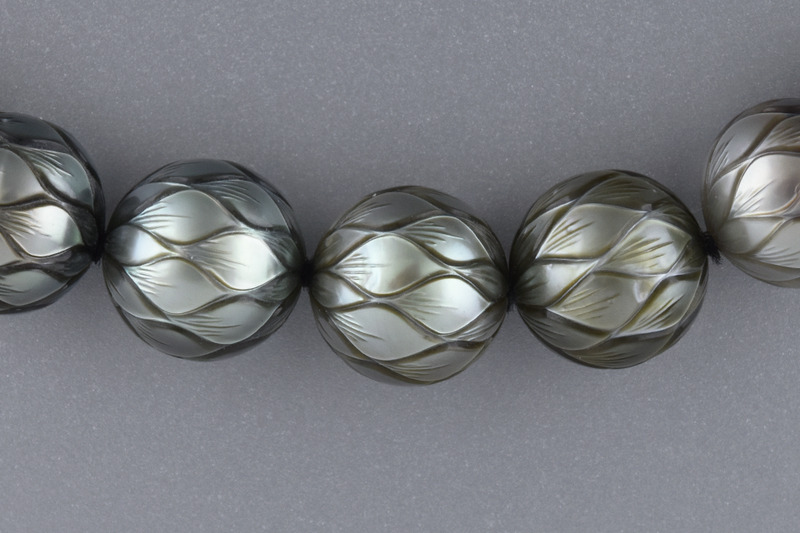 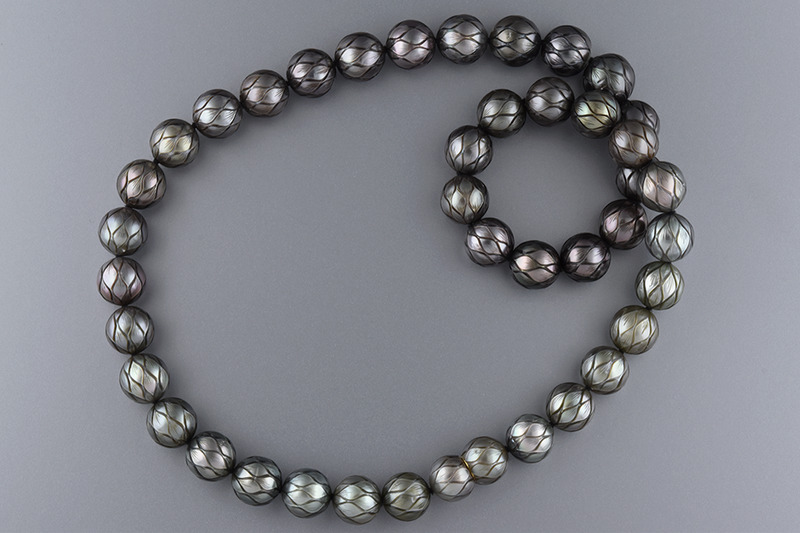 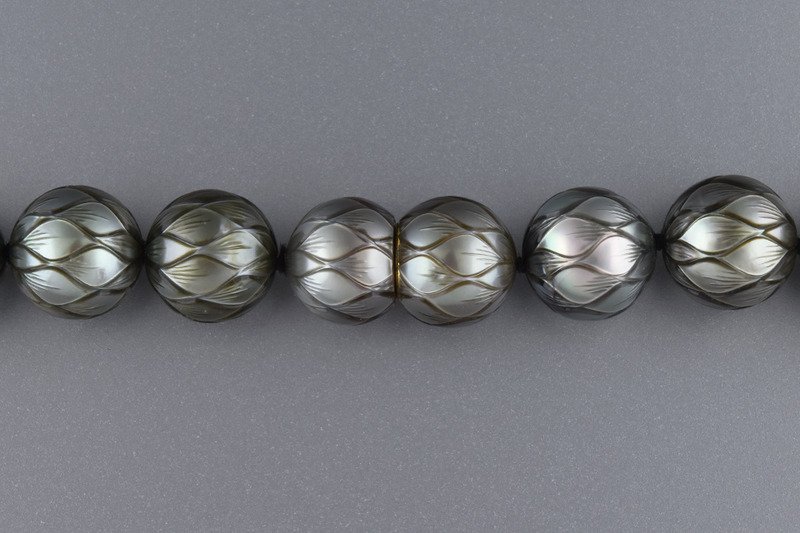 This 18 inch strand holds 42 carved black Tahitian pearls that measure approximately 10.0 to 11.0 millimeters.